At least 5.25 lakh students attempted the Andhra Pradesh intermediate 1st year exam 2019. The Andhra Pradesh intermediate advanced supplementary exam is slated to be held on 14 May. 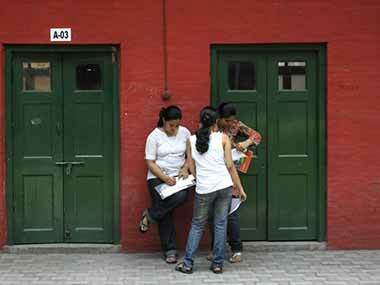 The board released the results for Class 11 and 12 at 11 am on Tuesday. Reports said, students can use the formula 'CFPA multiplies by 10' to calculate their percentage. The Andhra Pradesh intermedia board released the results for the class 11 and 12 exams on Friday at 11 am. The result link on the official website has been made active, students will be able to check their result using their hall ticket number. The Telangana State Board of Intermediate Education (TSBIE) is likely to declare the results for the 1st, 2nd year on Saturday. A TSBIE official was quoted by some reports as saying that the TS Intermediate results date has not been finalised. The pass percentage of last year's class 11 exam was 62 percent, reports said. The pass percentage for class 12 students in the Andhra Pradesh intermediate board exams is 72 percent, reports said. The Education Minister Ganta Srinivasan Rao on Friday released the results of the 1st and 2nd year intermediate exams in the presence of the BIEAP secretary. The Andhra Pradesh Intermediate board declared the results for the 1st and 2nd year exams on its official website on Friday. According to reports, at least 6.3 lakh students, out of over 10 lakh students who attempted the exam, have passed. An official notification of the Andhra Pradesh Intermediate board said that the Lok Sabha election, of which the first phase was held on 11 April, did not affect the date of declaring the results. It said, "The Lok Sabha elections will not affect the board exam results, the inter results of the 1st, 2nd year examinations will be declared on 12th April." The pass percentage for last year's Andhra Pradesh Intermediate exam was 73.3 percent, reports said. Students awaiting their results for the Andhra Pradesh intermediate 1st and 2nd year exams can also check their results on examresults.net. The results of the 2018 Andhra Pradesh intermediate 1st and 2nd year exams were also declared on the same day, even though the exams themselves were held on two different days. Students awaiting their result of the Andhra Pradesh intermediate 1st and 2nd exams can also receive their results via SMS. For the Andhra Inter Second Year's General category result, send 'APGEN2REGISTRATION NO' to 56263. For the Vocational category, send 'APVOC2REGISTRATION NO' to 56263. For the Andhra Inter 1st Year General category result, send 'APGEN1REGISTRATION NO' to 56263 and for the Vocational category, candidates can send 'APVOC1REGISTRATION NO' to 56263. 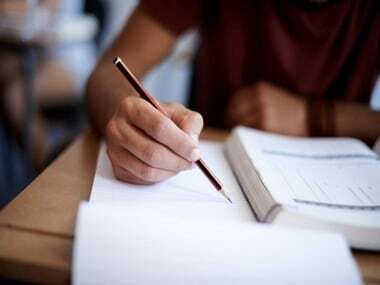 The Andhra Pradesh Board of Intermediate Education is expected to release the results of the 1st and 2nd year exams at 11 am, the official notification said. The Andhra Pradesh Board of Intermediate Education, also known as, the BIEAP, is likely to release the results for the 1st and 2nd Intermediate 2019 exams on Friday. AP intermediate results 2019 updates | The pass percentage for class 12 students in the Andhra Pradesh intermediate board exams is 72 percent, reports said. The Board of Intermediate Education Andhra Pradesh (BIEAP) will declare the AP Inter 2019 results on Friday, 12 April. The results can be checked on bieap.gov.in and other websites. Reports said that the result is likely to be out at 11 am. The Andhra Pradesh board has also provided students with an option to receive results via text message. For the Andhra Inter Second Year's General category result, send 'APGEN2REGISTRATION NO' to 56263. For the Vocational category, send 'APVOC2REGISTRATION NO' to 56263. Last year, the pass percentage was 73.3 percent, and more than 5 lakh candidates attempted the examination. Tejvardhan Reddy was declared the topper of the AP Inter Result with 992 marks. The results for the 2018 exam were released of the Board of Intermediate Education Andhra Pradesh were released by Andhra Pradesh human resource development minister Ganta Srinivasa Rao.